What is the Best Virtual Phone System for Small Business? Your customers are the lifeline of your small business. Without a phone system, you're not easy to reach. 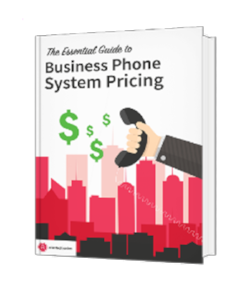 For small and mid-sized business (SMB) owners, it's not "just phones." When deciding on a new phone system, you are shopping for a primary conduit for customer relationships, communication, and the ability to earn revenue. Growing your business: Expanding your customer base and revenue. Becoming more efficient: Increasing productivity and customer satisfaction with better technology and processes. Removing risk: Eliminating risks associated with business operations, which can include disaster recovery planning, information security, and other "what-ifs.". Chances are, you know that analog telephones are on their way out because they're often costly and becoming less and less available. You're also probably aware that virtual phone systems can deliver potential cost savings, productivity gains, and efficiency. However, where do you start searching? Is a bare-bones solution like Vonage the right choice for your small and growing business? Or is it worth it to pay a bit more? While there isn't one "right" solution for every organization, evaluating your options from the perspective of must-have features and benefits is important. In this blog post, we'll cover the seven most important criteria of virtual phone systems for SMB so you can make the wisest choice. Wait. What is a Virtual Phone System? A virtual phone system is delivery of private branch exchange (PBX) features without on premise hardware. Generally, this means that your business can unlock all of the benefits of voice-over-IP (VoIP) telephony without having to go through the expense of hosting on-premises VoIP yourselves. This is enabled through cloud technology and a hosted services vendor. Remember this important point: vendor definitions of "virtual phone" systems can vary. For some organizations, virtual phones mean mobile-only. They enable VoIP calling via an application on your employee mobile devices but do not support the use of handsets in office. Vendor offerings of other business communication services and add-on features can also vary. Ultimately, one vendor's definition of "virtual phone systems" might not be the same as their competitor. Your requirements for virtual telephony could also be vastly different than someone else's. This variation is part of the reason it's important to approach this topic from the perspective of what's important, and what you might NOT need. With small business staffing and budget, it's hard to project that you'll need "20 phone lines" in six months or anything similar. You hire as your revenue allows it, and you keep expenses to a minimum by getting rid of anything unnecessary from your budget. Not all virtual phone systems allow you to add and remove phone lines at a moment's notice. Some require you to pay for multiple months of service. Ultimately, every small business needs the ability to ensure that every dollar they put into communications is actually serving their talent and their customers. When your customers interact with large brands, they're used to a plethora of options. They can click to chat, send an email, or make a phone call for speedy resolution. No matter who they interact with, they're used to customer service representatives that can access their account and purchase history to provide excellent service. Forrester research reports that collaboration, or cohesive communication technologies, can add significant business value to customers. At very small businesses, you can provide great customer service without leading technology due to personal relationships and customer knowledge. However, as your business grows, how can you maintain this first-hand knowledge and replicate big brand's convenience? Some virtual phone systems offer add-on features for chat and video conferencing, as well as the ability to integrate your voicemails with email and communication tools with your customer relationship management tools (CRM). Ultimately, your business needs the ability to provide the right customer service channels to your customers. You also need the ability, via virtual communications, to scale your personalized customer service as you grow through smart integrations. Mega-brands like Target, Amazon, and Home Depot aren't the only ones who suffer information security incidents. The U.S. Federal Communications Commission (FCC) emphasizes that SMBs aren't immune to cybercrime and need to have a plan for security. Analog and cut-rate VoIP systems can be susceptible to call interception, theft of service, call disruption, and a host of other issues. Much like general information security, there isn't a single VoIP feature or method of protection that acts as a guarantee. The key is to seek out vendors who make security part of their business models so you can enjoy secure communications without the risk of tapping. 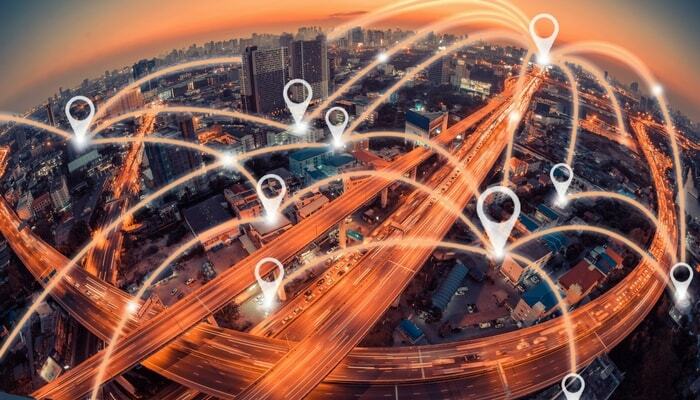 Important things to look for include a vendor with on-staff security expertise that monitors call patterns to detect possible issues and who offers encryption, as well as the availability of fiber-optic internet connectivity for additional protection. Your employees won't always make or receive calls from their desk at work. "Softphones" means software that can act like a telephone and is defined as the technical ability to perform calling from a computing device. This can include a desktop computer, tablet, or mobile device. It may even be a wearable device such as a watch! For nearly all virtual phone systems, mobility is a given. However, it's smart to look a little deeper than pure mobility to ensure your vendor offers mobile failover, easy-to-use mobile applications, and simultaneous desk/mobile ringing to prevent missed calls. Softphones are important, but mobility that makes sense for your organization will help you realize the most productivity gains. As a small business owner or decision maker, you know how important customer service is. You work hard daily to ensure your talent is providing customers with the best service, so you don't experience client churn. If you have a zero-tolerance policy for bad customer service at your organization, why would you tolerate it from a virtual communications vendor? Live, domestic, knowledgeable service associates. Proactive network monitoring and management. Simplified customer service—one call to resolution. Complete service offerings, including knowledgebase. Enterprise-grade solutions at small business prices. The average cost of a security incident at small businesses is $50,000. Statistically, many small businesses do not suffer the aftermath of a major event due to sheer cost. If your organization is hit with ransomware, a major weather event, or another disaster would you have to close your doors? Risk management should be part of the core services offered by a phone vendor to increase the ability of an SMB to thrive in a worst-case scenario. This means business continuity should be built into THEIR business model without spiking your costs—including factors like redundant power and off-site data backups to ensure you're not left for long periods of time without phone service. Learn more about our emergency wireless backup service. Even though voice communications is way more than "just phones," maybe all you need or can afford currently is cost-effective virtual phones. That's okay, however, it can be wise to select a vendor that can grow with your business needs. Unified business communications is defined as a single vendor network for a range of services, including voice, messaging, conferencing, and collaboration services. A single vendor relationship can lead to cost savings, easier troubleshooting, simplicity, and reliability. Selecting a virtual phone system may be challenging, but using it should be nothing but easy. Your organization needs a cost-effective phone system that offers exceptional reliability, quality, customer service, and features to match your needs. With an understanding of the capabilities and attributes that are important, you can sort through the abundance of options available with confidence. Atlantech Online offers decades of experience designing virtual phone and unified business communications solutions specifically for the unique needs of small businesses. Our goal is to provide no-pressure, free expert insight to help you find the solution that's objectively right for your needs and budget. For more insight on vendor selection, we recommend our free eBook 10 Questions to Ask Before You Buy Fiber, Phone, or Data Center Services For Your Business.